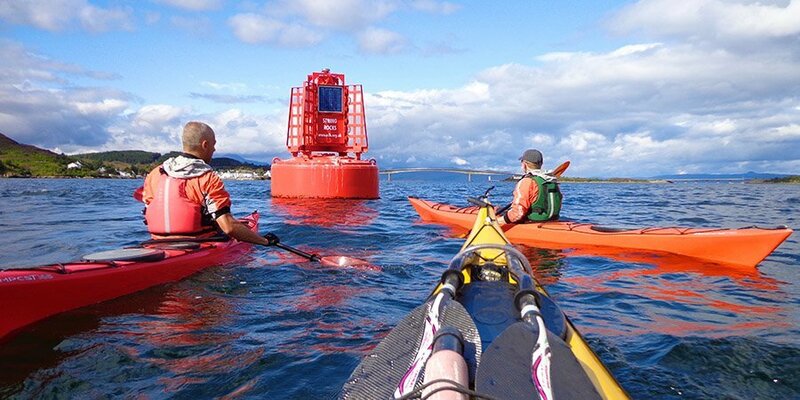 Sea Kayak navigation training using the features and marks at Kyle of Lochalsh. This body of water separates the Scottish mainland from the Isle of Skye … spot the Skye bridge in the background. Sea kayak navigation is an important element in all of our BCU courses.